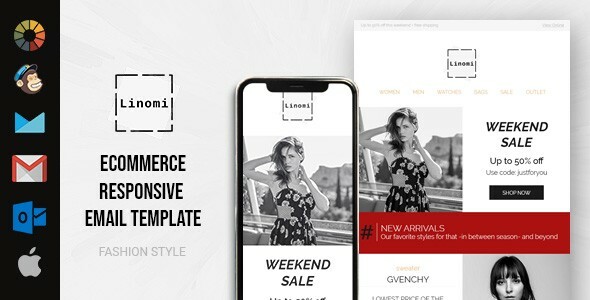 Linomi is a fashion style eCommerce HTML email template for those looking for an HTML email design, so we produced this slick, responsive email template, which is both MailChimp and Campaign Monitor ready. 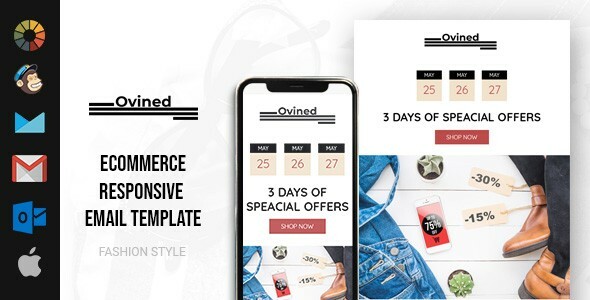 Therefore, you can this email template for your future campaigns. This email campaign is great to inform your customers that your weekend sale is now available in your store! 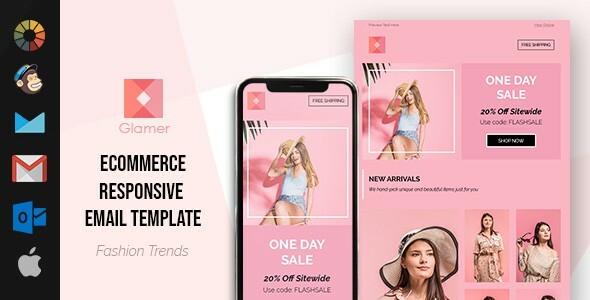 It warmly welcomes your customers with a catchy hero section that can be used for a catchy hero-image graphic and then uses discount coupon section to lead them to your basket page. This is then followed by New Arrivals section that you can personalize the content based on your customers’ product preferences. We carefully optimized the mobile version because you deserve to get the most of your mobile sales too! Tested on Litmus. 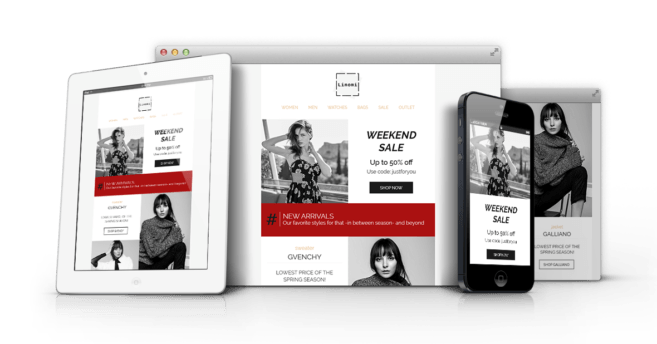 Boost your mobile sales conversion by sending very well optimized emails for mobile devices. MailChimp & Campaign Monitor Ready! Support 3 major email app: Gmail, Outlook, Yahoo in both IOS and Android. Subscribe to our newsletter for latest News, Updates, Templates directly in your inbox. we will make sure you are sending relevant, valuable emails that your subscribers open, click and engage.